The Simple Pull Handle adds a unique and modern accent to any sliding barn door. 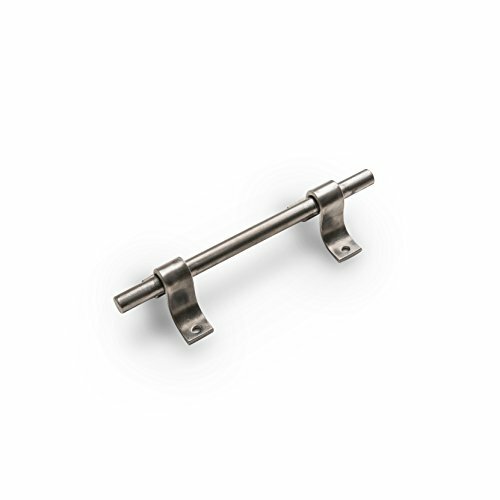 Hand-forged from steel - the subtle design of the barn door pull complements any sliding barn door. Artisan Hardware's designers and builders have worked tirelessly to create a collection of custom products that they stand by and can wear the Artisan seal. All of their hardware and doors are manufactured right here in the United States to ensure the highest quality and set the standard for sliding barn doors and hardware. At Artisan Hardware, they're not creating just any product - they're creating yours. MADE IN USA - Manufactured by Artisan Hardware in the United States. If you have any questions about this product by Artisan Hardware, contact us by completing and submitting the form below. If you are looking for a specif part number, please include it with your message.